The scene in Ashiya, Hyogo Prefecture, during the Great Hanshin Flood (阪神大水害, Hanshin Daisuigai). 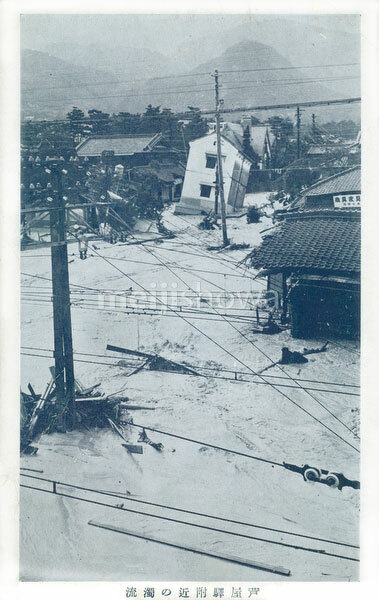 The flood took place from July 3 to 5, 1938 (Showa 13) and affected Kobe and surrounding areas. It caused over 600 deaths. IMPORTANT NOTICE: When printed larger than postcard size, the dots used in this card’s printing process become clearly visible.